Whilst many will be rightly rejoicing the Government’s 4.9% increase in the National Living Wage from 1stApril 2019 – this isn’t good news for care homes or their residents. The majority of care assistants and associated ancillary staff are already paid the National Living Wage and are automatically entitled to the rise. In my home this equates to an increased wages bill of £34,000 per year. This is because around fifty per cent of my staff are eligiable for the rise. It is a similar story in other care homes across the counry. But the wage bill increase doesn’t stop there. Other workers in care homes will feel aggreaved as they won’t be entitled to the pay rise so how do you keep their loyalty? I think it’s a very unfair situation and they need a pay rise to maintain the differentials between different roles. In my home, the total pay increase is going to end up costing us an additional £78,000 per year. That leaves a gaping hole in our accounts. So where are providers like me expected to find this money from? Well that’s the issue. The Government gives us this directive via the National Living Wage increase but they don’t give us the tools or resources to do it. They don’t seem to worry about care homes going bust up and down the country as a result of the changes. One solution is to increase the amount elderly residents already fund themselves. Any person who has more than £23,500 in assets must fund their own care privately. The only help available from the government is attendance allowance – if an elderly person meets the criteria for it. If they manage to successfully fill in a 31-page form, they can get between £57.30 and £85.60 a week. But the average care home fee in Sheffield is £643 (2016/17) per week, so it doesn’t go very far. 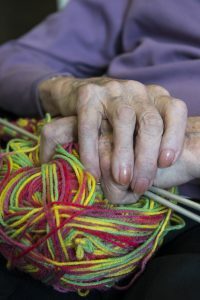 It is predicted by 2020, there will be over 3000 people over the age of 85 living in care homes in Sheffield, with another 11,700 being cared for at home by family members. I think it’s a dreadfully unfair situation that penalises the elderley that have worked hard for their money, lived through war and poverty, studied and become professionals and saved their money to pass on to their own families. They haven’t saved it to pay an average of £643 a week to be cared for. And if they want the best care that they deserve this can be over £1,000 a week. So ok, you will be thinking, don’t bother saving money for your old age, as you end up worse off. Well actually you don’t regarding being cared for. At this point, may I remind Sheffield City Council that the British Government, who they in theory work for have increased the national living wage by 4.9%! So, what will the providers do? They will be left with no option, but to cut staffing levels or cut the budget for food, incontinence pads, cleaning products etc etc. Broomgrove is proud of the high standards we provide and the high percentage of nursing staff we havefor residents. So it was a shock to hear about the experience of a nurse we recruited from another home in the city. She’d been solely responsilble for the care of 40 vulnerable old people with multiple conditions and at risk of falls. This is not an adequate level of care. At another home, residents were served tomatoes on toast and a Maryland cookie for their evening meal. Would you really want that for your Mum or Dad? These elderly people have paid their National Insurance and taxes all their lives and may not have used the NHS that much, as they are the generation that didn’t go to the GP’s, but now they need that help, it isn’t there. We are very lucky we have the NHS in this country, it’s just a shame there isn’t more help for elderly people. Do you know it costs the NHS on average £400 a day to keep someone in hospital? Ever thought about giving that to care homes? Without additional income, care homes will not be able to offer the levels of care required whilst remaining solvent. How do we thank the elderly generation? Fact is we don’t. Most people in their eighites and nineties have experienced a life most young people of today could barely comprehend. They endured a World War, rationing, National Service, outside toilets, tin baths and much more. So how do we reward this incredible generation? Fact is we don’t when you consider care provision. When they get to a point in their lives that they need assistance performing the most basic tasks they are forced to endure a means tested system that is only normally triggered when a crisis point is reached – a fall resulting in a fracture or a stroke. It’s human nature that they want to retain their independence and stay living in their own home. But most will reach an age when this is impossible without help – and the burden is normally left to a partner that is already frail or to sons and daughters that regularly give up work to be their full time carer. So what additional care is available, who decides what they can utilise and how is it paid for? Well if you have property or money assetts greater than £23,250 you get no help at all and you fund your own care. The local authority will assess your needs if you are under the financial threshold. They can grant you between one and four home help visits a day. Each visit (no more than 30 minutes) will be geared to help you get washed and dressed, take meds or make a meal. 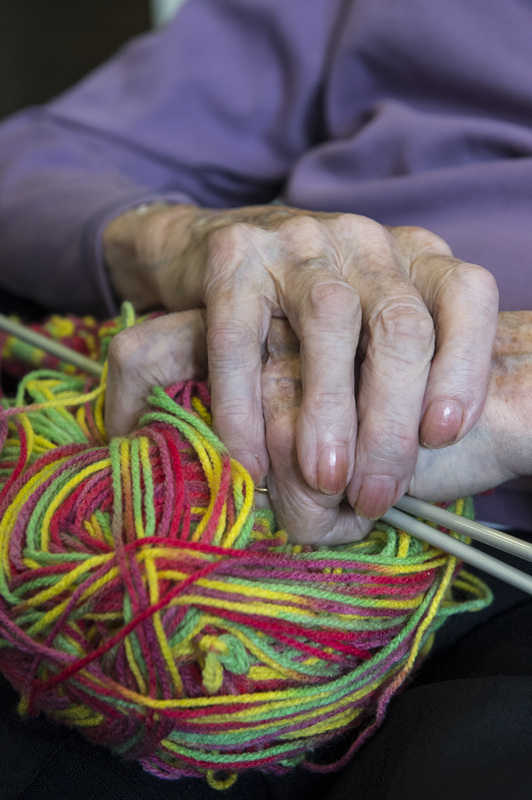 But this still leaves 22 hours a day for an elderly person to feel isolated, lonely, depressed and at risk of falls. I know from bitter experience how it feels to go to bed at night worrying whether my dad was safe, warm and had had a decent supper – thankfully he’s now in a care home. In most cases this is the point where friends and family are expected to step in to bridge the gap. The next tier of help is 24 hour care in a Care Home, but social services won’t even consider this until care at home has failed – the common trigger point being the cost of a stay in hospital. This will cost the NHS £400 a day as they attend to an elderly person’s fracture, hospital admission, operaton and re-hab. The amount the council will contribute to Care Home fees depends on your assets. If they again total above £23,250 you’re not entitled to anything. If you fall below you’re subject to a full financial assessment. All your assets will be put towards care home fees. The rest of the fees will be topped up by the local authority but this is capped. The maximum Sheffield City Council will pay for a care home per week is £463. This is after £139.45 of your weekly state pension of £164.35 is taken together with a proportion of any savings. You will be given a paltry allowance of £24.90 per week to spend. The final tier of help is only if you are assessed to require nursing care and meet the local CCG criteria for funded nursing care you will receive an additional £158.15 per week to give a total of £621.16 per week. But this is still nowhere near enough to meet the true cost of quality care which is an average of £755.50 per week for a nursing home in the region. So where is the additional cash meant to come from? It’s down to the family once again. They’re meant to be put their hand in their pocket to the tune of an average of £100 a week. 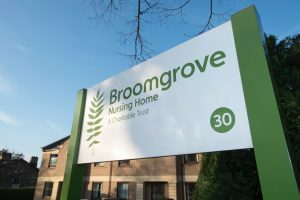 Granted – there are care homes that accept the basic rate but unfortunately you get what you pay for in the shape of lower staffing levels, basic food, poorer environment and, in some sad cases, neglect. CQC Standards, the impact of the National Living Wage on care home staff wages, inflation and more makes its harder and harder for providers to survive – that is why so many have gone to the wall. The population is aging at a rapid rate and there has been a 37% increase in elderly people being stuck in NHS beds in the past seven years. I believe there has been a total failure to tackle the social care crisis which has been looming for years. As usual the ‘winners’ are the ones with money. They can pay for the care they deserve. It think we’ve totally failed the elderly generation. Why on earth aren’t we simply caring for them? Why do we pay into the NHS our entire life only to find out we have to fund our own care when we most need it? The Christmas period is awash with well meaning ads encouraging people to invite an elderly person around for a meal in the fight against loneliness. Few of us are immune from the anxiety that can set in when we think about our own aging. Who will care for us in later life? Who will ensure we’re safe and still feeling loved? The questions take on a particular significance for someone like me – someone that doesn’t have any children. The norms of society once dictated that – for those with children – generations go full circle in later life and the youngsters that once depended on parents for everything will one day return the favour. But there has been a profound social shift in recent decades. In the fifties and sixties it was given that the women would be the stay at home parent. In more recent years women have moved en masse into the workplace following a very positive shift in attitudes. A whole new industry has developed around childcare, childminders and after school clubs to accommodate the changing roles as caring capacity within individual families has changed. State provision for older people has grown, but remains limited. The system still relies heavily on the informal care being done by family members, an estimated 7.6 billion hours per year. Yet numbers of elderly people without relatives is set to grow as the proportion of women not having children has increased from one in nine to one in five. It has been estimated that by 2030 there will be more than a million adults aged 65-74 without children. The transient nature of modern life means many children are just not living close enough to parents to help. Age UK estimates that there are now more than a million older people who struggle obtaining help with even the most basic tasks like getting out of bed, preparing and eating meals and going to the toilet. Many elderly people are left isolated – spending the last days of their lives in hospital as funding can’t be found for a care home. The Government needs to address where the responsibilities of the state and families start and stop in the 21st century. The state can’t provide love and friendship, but it can and should provide and fund a basic standard of personal care for an elderly generation that has paid into the NHS all their lives. An old person is for the remainder of their life, not just for Christmas. As a society we’re bombarded with messages that demonize the obese and wax lyrical when a celebrity has successfully lost pounds on a crash diet. But many forget the tables are turned in old age and any sudden weight loss can regularly signal a serious health issues that needs urgent attention. That’s not to mean being thinner in old age is not natural – older people are not as active so they don’t need the calorie intake of someone that is younger and more agile but it’s a balancing act that needs close monitoring. As a society – far more needs to be done to ensure the nutritional health of the older generation. Official figures show a tripling in the number of elderly patients admitted to hospital suffering from malnutrition. Cut backs in Local Government services mean ‘meals on wheels’ – which were a lifeline ot thousands of older people – are now virtually non existent. As well as the lack of a regularly available hot meal – this situation also brings about yet more feelings of isolation and loneliness as the lunchtime knock at the door is no longer there. 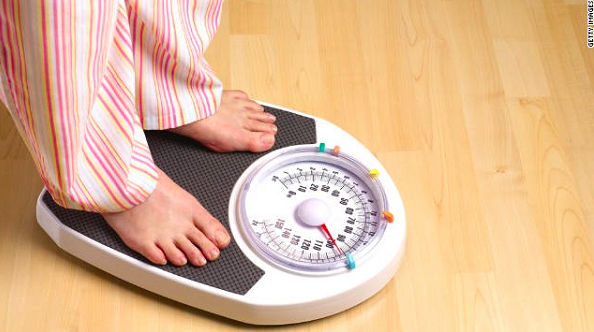 The Department of Health state clearer that getting thinner is not a normal part of the aging process. Experts from Health and Social Care warn that losing weight could be an early sign of malnutrition or other serious conditions, such as cancer, dementia or liver disease. Symptoms of malnutrition to look out for include tiredness, low energy levels, dizziness and repeated infections. A staggering one in ten people over the age of 65 are thought to be malnourished. 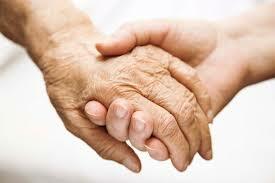 Other major contributing factors to loss of appetite in the elderly are loneliness and bereavement. Many older people find it hard to stand or carry objects, making preparing meals ever more difficult. So many elderly people suffer in silence – it’s a case of ‘out of sight, out of mind’. So how can we help? If you have an elderly relative or neighbour, keep an eye out for them. Offer to help with shopping, or preparing meals or invite them round for a meal. If you have an elderly neighbour and regularly cook for the family why not cook an extra portion each time? It could mean a world of difference. There are an estimated 850,000 people living with dementia in the UK at the moment. Another 225,000 will develop it this year – that’s one every three minutes. A recent Government survey of more than 4,000 adults revealed many people are still confused about what are, and what are not, signs of dementia. Though Broomgrove isn’t a registered dementia home we have a lot of knowledge. We regularly get enquiries for respite care from older people who look after relatives with dementia and need a break. We often give them advice as to what help is out there for them. An early diagnosis is imperative as this opens the door to future care and treatment. It helps people to plan ahead while they are still capable of making important decisions regarding their care and support needs. They are also in a far better position to make decisions on future financial and legal matters. They are also able – along with their families – to digest practical information, advice and guidance as they start to face new challenges. I know how important an early diagnosis is. The symptoms displayed by my own mother-in-law were spotted early so the family encouraged my father in law to take her to the GP. She was diagnosed with dementia and put on medication straight away which has kept her stable. She was also referred to the memory clinic, which has been a big support for my father in law. Losing the thread of what you are saying, having problems thinking and reasoning, feeling anxious, depressed or angry. Feeling confused even when in a familiar environment or getting lost on familiar journeys and finding that other people start to notice or comment on your memory loss. There is strong evidence that an early diagnosis helps someone with dementia to continue to live independently in their own home for longer. This helps to avoid early or unnecessary admission to a care home or hospital, enhancing the quality of life for people with dementia and carers alike.